Built in 2003 and bought by me in October 2005. 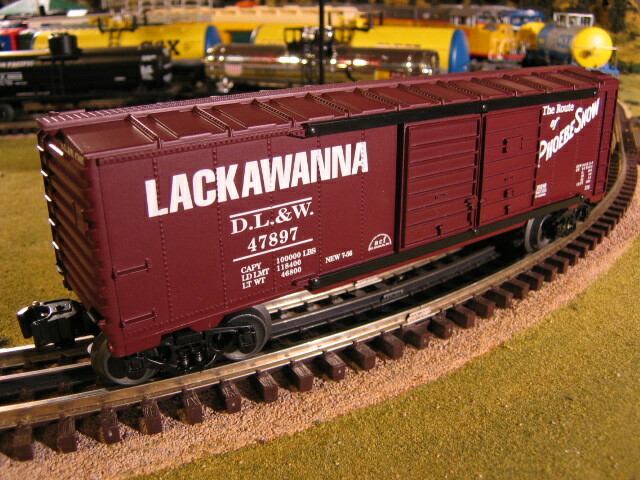 This is a solidly built box car with die-cast sprung trucks. Opening the doors on this car reveals a hobo with a guitar sitting on the floor. 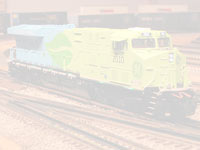 The livery on the side of the car reads "The Route of Phoebe Snow". If you're like me and have no clue who the hell Phoebe Snow was, click here for the Wikipedia.org explanation.